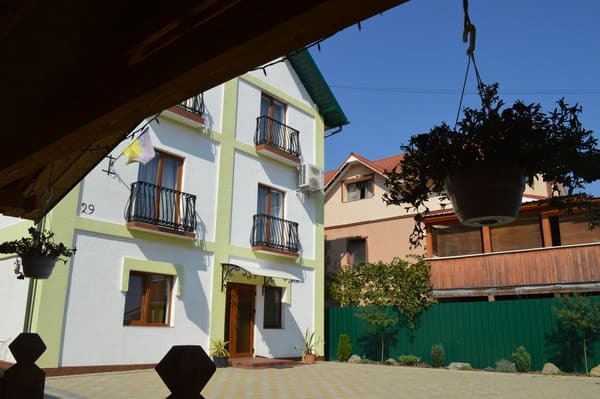 Private estate "Mapa" is located in Berehove, 2.5 km from the city center. 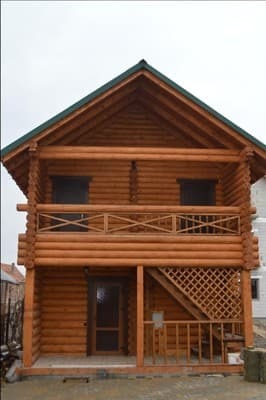 Guests are offered accommodation in a three-story house with 10 rooms. Each room has air conditioning, flat-screen TV, wardrobe, private bathroom with shower. Throughout the private estate there is Wi-Fi Internet access. 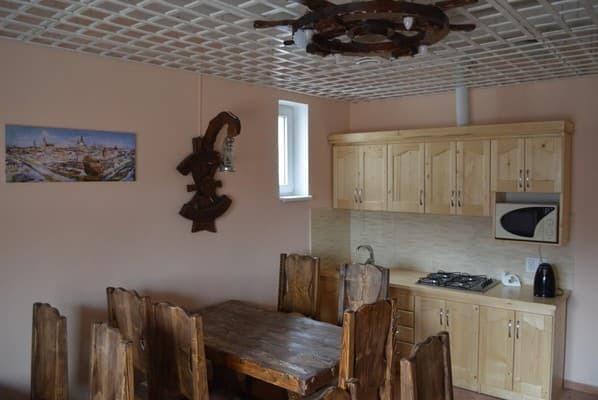 On the ground floor there is a kitchen-dining room where guests can cook on their own. The kitchen is equipped with a gas stove, microwave, electric kettle, refrigerator, kitchenware, dining area. 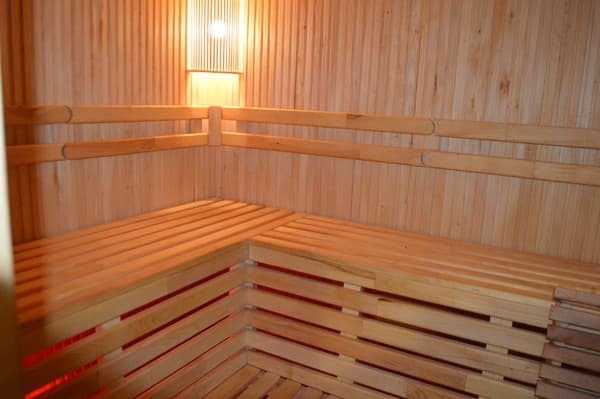 For an additional fee, residents can order a sauna for 10 people (specify the price). Also on the territory there is a grill, a gazebo, a place to park the car. Private estate "Mapa" is located 3.2 km from the railway station and 4.3 km from the bus station, 2.3 km from the pool of thermal waters. Description of the room: Spacious room equipped with a double bed. 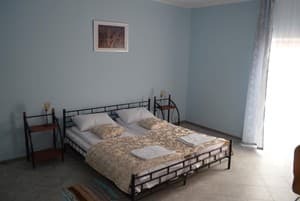 Description of the room: The room has three separate beds. 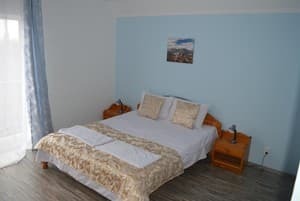 Description of the room: Room is equipped with a double bed. 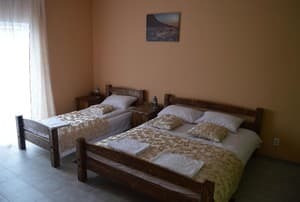 Description of the room: The room is equipped with a double bed and a single bed. It is possible to provide additional seats for a fee. Residents have the opportunity to cook on their own in a fully equipped kitchen. The distance to the nearest store is 500 m, and a cafe is 1 km away. 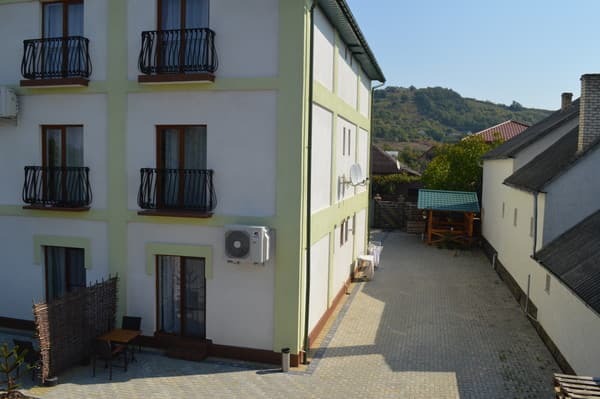 Private estate "Mapa" is located in Berehove, 2.5 km from the city center. Private estate "Mapa" is located 3.2 km from the railway station and 4.3 km from the bus station, 2.3 km from the pool of thermal waters. By train or bus to Mukachevo, then - by taxi to Beregovo.